With the festive season fully in swing, it is unsurprising to find a number of plays in London which are adaptations of children’s novels, particularly of those set during the Second World War. There is something about the war-time spirit that appeals at Christmas. Perhaps it’s the feelings of togetherness and shared effort that characterize the nation’s almost rosy nostalgia of the War, which meld well with the more uplifting buzz of Christmas. It could also be due to the omnipresence of war-based television programmes and films dominating the airwaves at the moment, such as Dad’s Army, The Railway Children and The Great Escape. Goodnight Mister Tom is emblematic of this association, and largely succeeds in being as entertaining, touching and generally uplifting as any of those films you find yourself watching over and over again at this time of year. Set just before and during the early stages of the war, during which time children were evacuated from London to the countryside, the play focuses on one such evacuee, William Beech, who is billeted upon the hitherto reclusive and distant Tom Oakley in rural Dorset. What follows is an escapist look at the almost Victorian idealistic view of a childhood in the auburn country, though one which nonetheless cannot escape the looming spectre of war. However, the Blitz-like spirit of mucking in and carrying on endures, despite some of the horrors the war entails. The play takes a much darker turn than expected at times, which actually keeps the plot both engaging and more exciting, in what could otherwise be merely a pastiche piece. However, a play for small children this is not, despite what you might otherwise think. Though perhaps a good introduction to issues such as loss and hardship in much the same vein of children’s pieces of yesteryear, parents should exercise caution in deciding whether to bring their small ones along. In terms of the characters, the relationship between the titular ‘Mister Tom’ and William is particularly touching, and both Alex Taylor-McDowall and David Troughton deliver standout performances throughout. McDowell is particularly adept at conveying emotion through subtlety, producing an empathetic reference point for the audience. Oliver Loades also deserves mention for his portrayal of the barmy, eccentric but nonetheless endearing Zach, who keeps the play humorous and is a joy whenever on stage. Angus Jackson’s production team should also be commended for their simplistic use of set design, using an almost postcard backdrop to emphasise the performances above all else. The puppets are also deftly employed and are managed well. The dog, in particular, is well-designed, though is perhaps a little dominating at times, with the whimpering and barking becoming a bit much during some of the tenser scenes. While entertaining the play could also be criticised for an uneven pace at times, though this is somewhat to be expected in play which is ultimately more a commentary on war-time childhood and a piece of nostalgia than more ambitious pieces. 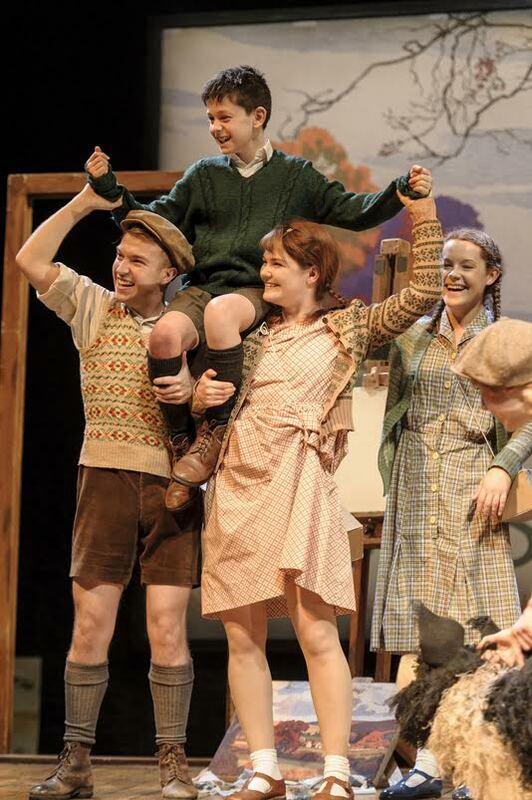 Goodnight Mister Tom is a fitting piece for this time of year and a well-executed foray into the war-time experiences we seem to harken back to at Christmas. It is certainly touching and sure to put you in an uplifted spirit, though is probably not quite daring enough for anyone looking for anything a bit different. Finally, I reiterate that this family play will appeal to youngsters, though its darker moments should be noted and taken into account by any parents thinking of taking along their particularly young ones. Otherwise a family festive treat this certainly is.